Melaka City is the capital of the state of Melaka in Malaysia and is a superb holiday destination. This beautiful city sits on the gorgeous Malacca River and is home to over 484,000 friendly residents. Melaka offers you lovely historic architecture, serene beaches and exciting activities. Leading attractions include Baba & Nyonya Heritage Museum, Jonker Street and Red Square. Start packing your bags and get ready for a memorable holiday in Malaysia, because cheap flights to Melaka City are now available for a limited time! Melaka is the home of Malacca International Airport (MKZ), which is a 30-miunte drive from the city centre. Explore the evidence of this destination’s diverse history with a visit to the various religious and ancient architectural sites. 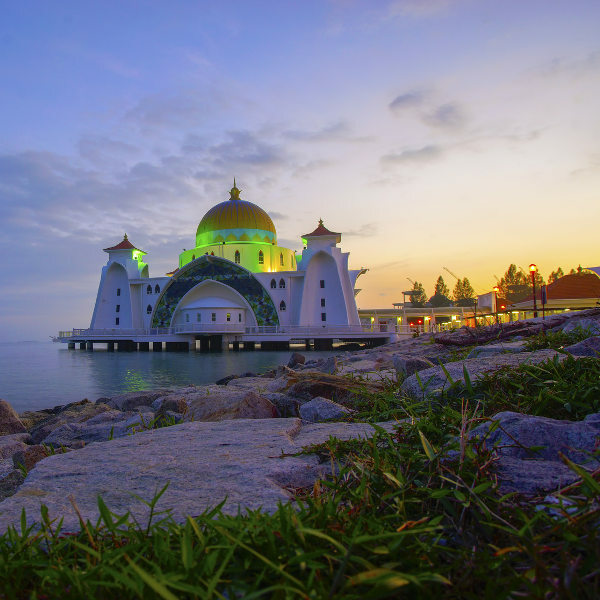 These include Malacca Straits Mosque, Kampung Morten Bridge and the Independence Memorial. Melaka sits on the Malacca River, guaranteeing you enchanting sights as you take a leisurely stroll along the side of the river. For even better views, treat yourself to a relaxing cruise along this lovely body of water. 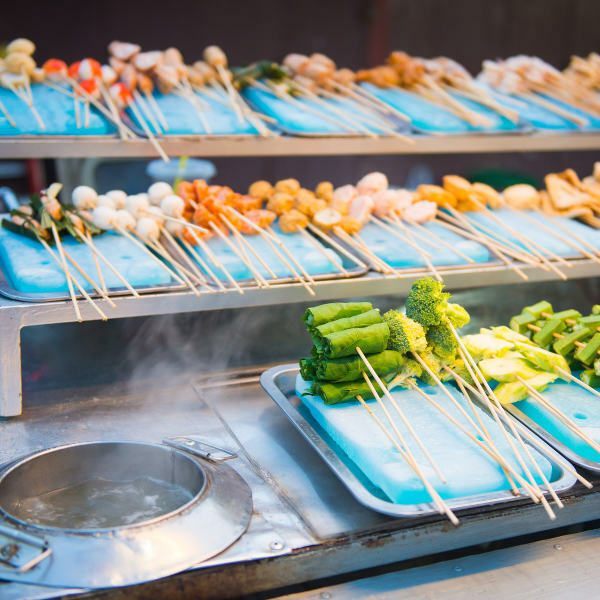 What would a visit to a Malaysian city be without trying some of the local dishes? Indulge your taste buds with specialties like chicken rice balls, noodle dishes like Nyonya laksa as well as delicious asam pedas fish. Melaka City has a tropical climate, with temperatures remaining around 30°C and rainfall throughout the year. The rain is at its heaviest between the months of September and November and at its lowest during February. For a little relief from the high temperatures, visit Melaka between the months of July and August. 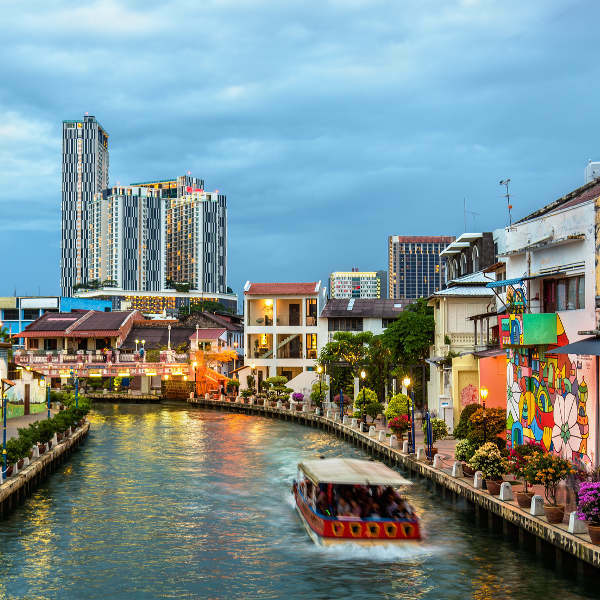 During the other warmer months, spend some time indoors shopping at the Melaka shopping mall, or relax with a cruise down the Malacca River. The months of heavier rainfall are ideal for visiting the islands off the coast of Melaka, guaranteeing lush vegetation that thrives in the wet conditions. Melaka City (alternatively named Malacca) is one of those destinations you should definitely add to your bucket list. Its centre, a UNESCO Heritage Site, is a major tourist attraction, drawing many visitors from across the world who end up discovering the city’s many other wonderful attractions and activities. Explore the streets of Melaka City and discover a kaleidoscope of various architectural styles – there are the crimson colonial buildings of the Dutch, the Peranakan houses and Portuguese ruins. Some buildings of note include the Melaka Sultanate Palace Museum, Melaka Straits Mosque and Stadthuys. Learn more about the history of this destination with tours offered by many museums, such as Baba & Nyonya Heritage Museum, Straits Chinese Jewellery Museum, the Toy Museum and Malay and Islamic World Museum. Spend some time soaking up the sun at the scenic beaches on Melaka City’s coast, including Pengkalan Balak Beach, Pantai Klebang and Tanjung Bidara Beach. For the animal lover, meet the turtles, starfish, sharks and more with a visit to the Shore Oceanarium and discover more than 1,200 creatures at the Malacca Zoo. On the weekends, visit Jonker Walk and enjoy this scene as it comes alive with music, shopping and street food galore. For a quieter time, indulge in a meal at one of the popular restaurants during the quiet weekdays. For the best views over Melaka City, spend some time on the observation decks of Menara Taming Sari. Compare several airlines and book your cheap flights to Melaka City online at Travelstart! Make sure you visit a doctor to receive all the routine vaccinations before you depart for Malaysia. There is no threat of yellow fever in this country, but the government requires that you produce proof of vaccination should you be coming from a country where this disease is a risk. Melaka City enjoys a low crime rate. Common crimes, however, like pickpocketing and bag snatching, are a problem like with most busy destinations around the world. Ensure that your valuables are out of sight and in a secure place. Stay alert especially in crowded areas and along roadsides. Watch out for scratch-and-win scams. These involve you being handed a reward ticket to scratch or peel off on the spot. Should you win a prize, scammers will ask you to make an advance payment to claim your prize. Avoid becoming a victim by staying away from individuals offering such a competition. Make sure you are always carrying identification documents as police conduct random checks for illegal immigrants.